The Hanjin bankruptcy and shifting alliance routes have continued to affect the Port of Long Beach’s (POLB) cargo volumes, resulting in container traffic at 13.8 percent lower in November 2016 than November of 2015. According to the POLB, a total of 534,308 Twenty-Foot Equivalent Units (TEUs) were moved through the harbor last month, imports dropped by 11.8 percent to 270,610 TEUs and exports declined 3.1 percent to 120,897 TEUs. Empty TEUs numbered around 142,801—about 24.2 percent less than the same month on 2015. In November 2015, in contrast, the port witnessed its second-best November ever, part of a six-month run of gains to end the year above 7 million TEUs for the third time in its history. This year, challenges such as the merging of ocean carriers, as well as Hanjin’s declaration of bankruptcy in August, have made an impact in port operations. 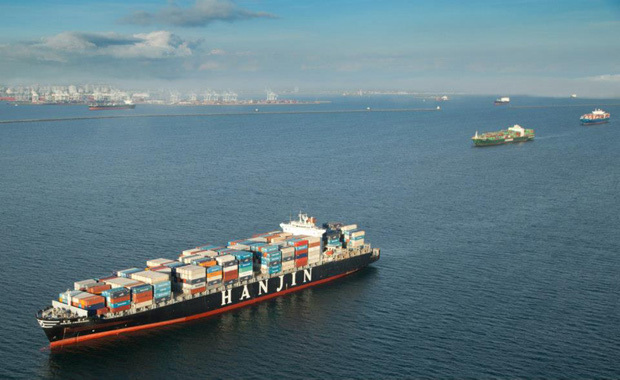 According to the port, Hanjin Shipping represented 12.3 percent of Long Beach’s containerized volume and held a stake in Total Terminals International, the operator of Pier T.
Port traffic, as of 11 months into 2016, is lagging 5.6 percent behind the same point as last year.